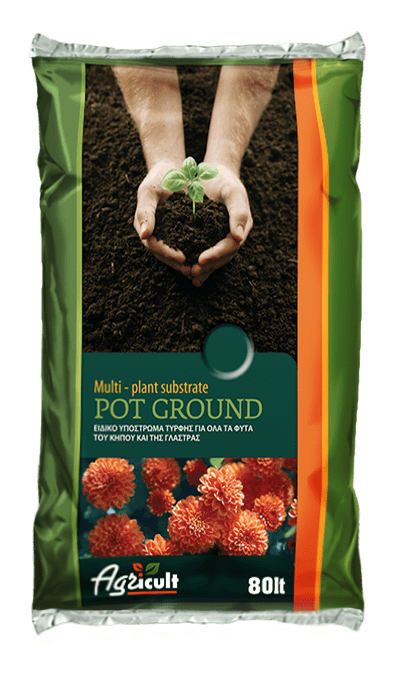 POT GROUND is a substrate based on peat and selected natural humus. Ideal for the planting and cultivation of indoor and outdoor ornamental plants. Also ideal for sowing vegetables, as well as the root system of bushes and sods installation. The fundamental supply of macro-elements is based on a natural fertilizer and results in a slow release of the substances helping the plant towards a vigorous and abundant growth of its root system. POT GROUND is intended to achieve a powerful admixture of mature organic and mineral materials. 30% Baltic Peat Moss + 30% Blonde Peat Moss + 20% Black Peat Moss + 20% Humus.